I’m a Happy Apple user and since 1989 there has only been a few occasions when I had to contact the Apple support. They have handled everything fine and once they really shocked me in a positive way. The screen of my iBook stopped working. I live on the island of Gotland, right in the middle of the Baltic sea. The only city is Visby and I live in Kappelshamn, 43 kilometers north of Visby. They sent a car to pick up my iBook on a Tuesday, before lunch. 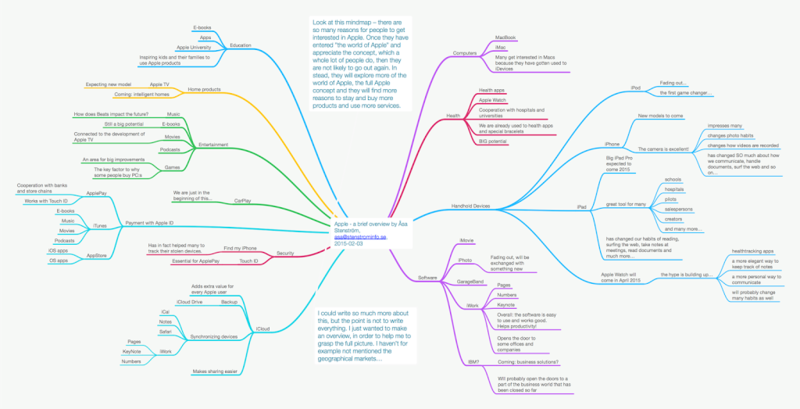 Then I could follow how my iBook went by plane to Stockholm then Amsterdam. To my big surprise, the car came back on Thursday, before lunch and delivered my iBook! Two days. I had prepared myself to be without the iBook for at least a week. This is the kind of stories I tell people and I always recommend people to buy Apple products. I even earn some money as being an Apple coach for those who needs a helping hand when they change from PC to Apple. One of my clients that started to use Apple two years ago has been very happy and for the first time he decided to learn how his computers and devices works and he’s not afraid to try to do things on his devices, like he was before. He bought a new iPad mini in December, went on vacation and accidentally broke the glass screen… When he was back in Sweden I recommended him to contact the Apple Support online. So he did and to start with it seemed to work out fine, but then it evolved into a really terrible story of bad customer support. I won’t give you the details, but it was so bad, that when my client told me about it I felt that I had to do something. I couldn’t think of anything else but writing a mail to Tim Cook. I didn’t expect him to answer or do anything special, it was more that I thought he ought to know about this bad treatment. The next day I got a phone call, ”Hello, I’m calling because of the mail you sent to Tim Cook…” Oh? I got really surprised and happy. I told the man about what had happened and he wanted me to ask my client if it was okay if he contacted my client. And of course it was okay. Today my client mailed me and told me that the issue was solved and he didn’t have to pay anything. I am so happy. My trust in Apple is restored. I will for sure continue to recommend Apple’s devices to everyone. 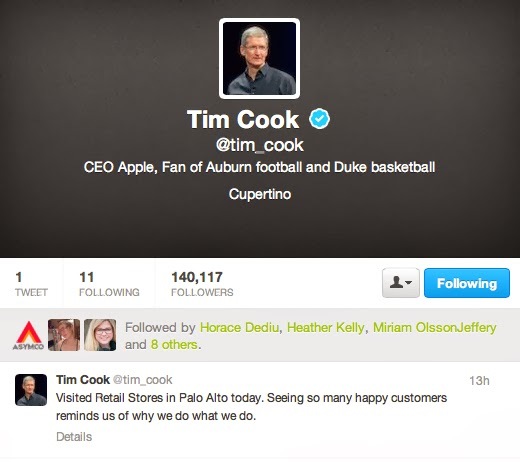 It means a lot to know that Tim Cook actually payed attention to the mail I wrote. Apple is doing just fine! Yesterday it was time for Apple’s FQ3 Earnings report. I think it was just like what to be expected, if you are a sane person and not like a small and scared sardine in a big shoal of fish swimming around in the ocean watching out for sharks and changing direction every time one of them sees a shadow that could be a shark… I think that there has been a lot of Apple sardines trading on the market during the year. I haven’t got so much experience from trading with shares so I guess that’s not unusual, but even so, it seems to be a bit too nervous in my opinion. Escpecially considering the amount of money those sardines are handling. Sometimes it’s other people’s money as well. The state of Maine’s Learning Technology Initiative, which provides the state’s little school and high school students and teachers with personal computing solutions allowed individual school districts to choose which products to purchase rather than standardized on a single statewide solution. We are very proud that an estimated 94% of the 69,000 total units selected this year were Apple products. Another crucial part is all the workplaces around the globe. Ten years ago Microsoft was the most important player on that market and as an Apple enthusiast I had to argue a lot with those Windows-using persons that somehow was provoked by my decision to use Apple (which I have been doing since April 1989). Things have changed and since ”everyone” started to buy iPhones they also learned what it’s like to use Apple products and so they got curious about Macs and iPads. Today we have a trend called BYOD = Bring Your Own Device and it seems that we almost could say BYAD = Bring Your Apple Device, because that’s the actual result in my opinion. When people can make their own choice about what kind of devices to use when they work, I believe that the majority choose Apple. So, if Apple is the preferred choice of both schools and working places, then the future looks bright. iPad accounts for 84% of the web traffic from tablets which is absolutely incredible and so if there are lots of other tablets selling I don’t know what they are being used because that’s a pretty, the basic function is web browser. This has been a puzzling fact for a long time, what on earth do people do with their Android tablets? Why don’t they surf the web? Don’t they understand how to do it? Aren’t the tech good enough? Is Android users not interested in what happens on the internet??? I think it would be very interesting if someone investigated this. So, what’s in the future for Apple? 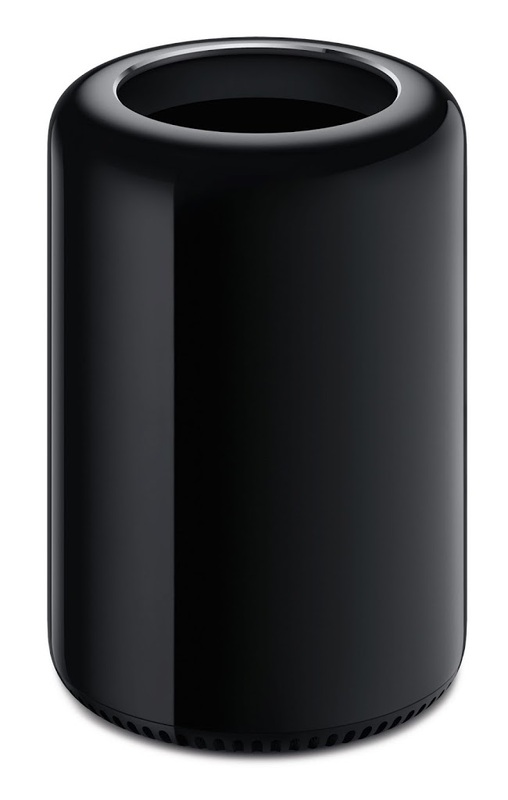 We know about iOS 7, the new Mac Pro and OS Maverick that will be available during this autumn. We expect some other interesting news about products to come as well. Apple is for sure preparing something new and big if you ask me. They have lots of creative brains working to reach new goals. We have developing markets like China and India, and the mature markets still enjoy Apple’s devices and implement them more and more in schools and working places. On top of that we also have the movie Jobs which will be launched in August 15th. Do I worry about my Apple shares? Not particularly. I’m not a scared sardine, I’m more like a happy seal resting on a sunny stone in a beautiful ocean. 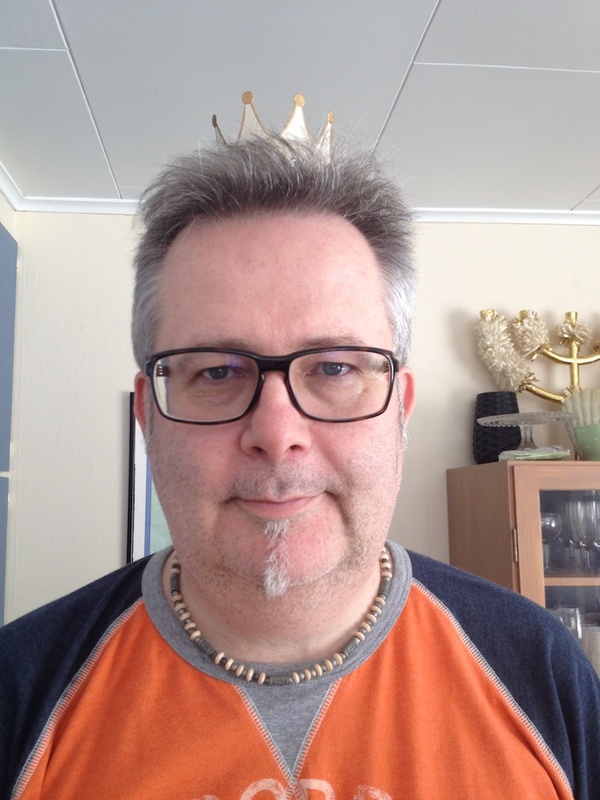 http://www.asastenstrom.se/middleof/wp-content/uploads/sites/4/2015/03/asainthemiddle1.png 0 0 Åsa http://www.asastenstrom.se/middleof/wp-content/uploads/sites/4/2015/03/asainthemiddle1.png Åsa2013-07-24 08:12:002015-03-21 14:11:18Apple is doing just fine!